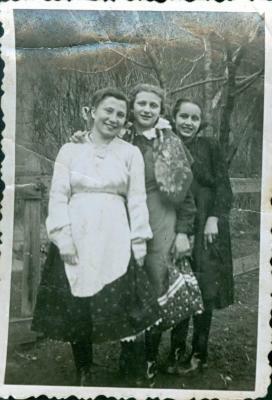 Photograph of Anna Brünn (Ornstein) and friends dressed in traditional Hungarian garb for the holiday of Purim. Anna is the last one in the row. Taken before the War.